The picturesque fortified town of Obidos is known for its cobbled streets, historic buildings, and old world charm. It also happens to be home to one of the best Christmas environments in Portugal. 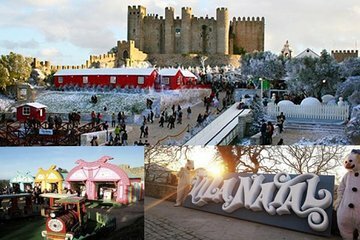 Experience the magic of Obidos Christmas Town by going on a personalized private tour. You won’t have to organize transport as round-trip transfers from Lisbon are included. See many festive highlights in a day such as the Santa Claus Farm, the Ice Bar, the Christmas Market, and much more.